If you are searching for a way to expand your IT skills you may be interested in a new CompTIA+ Certification bundle which is now priced at just $79 offering you a massive 96% of the recommended retail price of each individual CompTIA+ study guide, which would normally cost $2,530. 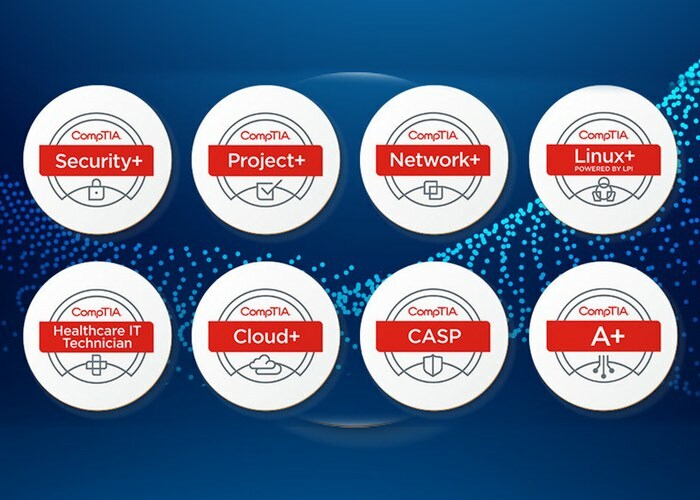 The ultimate bundle includes eight study guides to provide you with the knowledge and skills you need to pass the certifications and cover : CompTIA A+, CompTIA Security+, CompTIA Network+, CompTIA Cloud+, CompTIA Project+, CompTIA Advanced Security Practitioner, CompTIA Linux+ and CompTIA Certified Healthcare IT Technician Exam Study Guide. The CompTIA A+ certification is the leader in professional IT certifications, and can open up a ton of career doors. These two courses will prepare you to pass the CompTIA A+ 220-901 and 220-902 certification exams. These exams focus on the fundamentals of computer technology, hardware, installing and configuring operating systems, and much more. With the materials contained in these courses, you’ll be on the fast track to pass your CompTIA A+ certification with flying colors. For more information on the new Ultimate CompTIA+ Certification bundle and the details on each study guide jump over to the Geeky Gadgets Deals website via the link below.